Cycle of Regeneration - Go on an endless journey of upward spiral in your health, fitness and wellbeing. All training sessions (6 Sessions), are streamed online, the Bonus workout session (Mini Full Cycle Workout) is downloadable so you can take the training with you where ever you go. This is a copyrighted course, espcially designed by Shifu Yan Xin based on the ancient Chinese philosophy of '5 Elements (Wu Xing) and traditional kung fu principles including Tao Lu and Qi Gong enabling your body and mind go on a never ending journey of upward spiral in wellbeing. As a course member, you are able to join in weekly LIVE STREAM Training session with Shifu Yan Xin himself, it is like you are training in the same room with him. 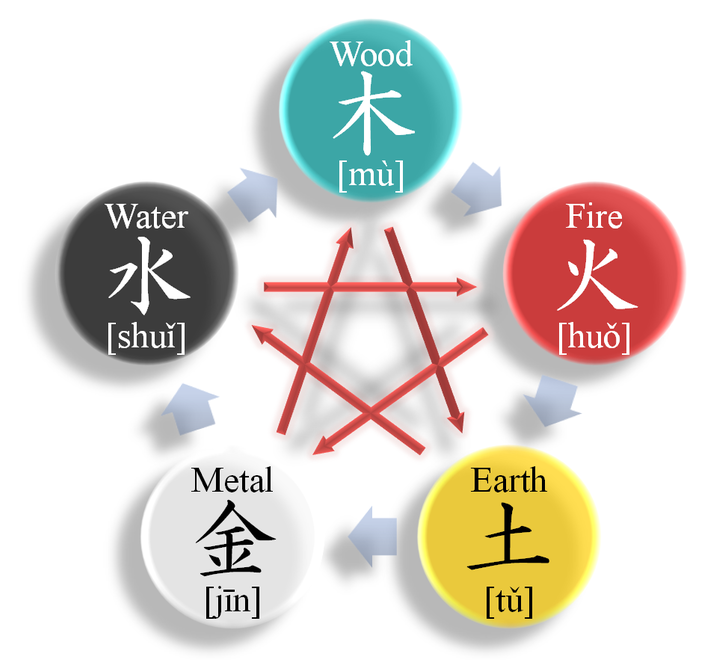 A copyrighted course designed by Shifu Yan Xin based on the ancient Chinese philosophy of 5 Elements (Wood, Fire, Earth, Metal, Water) and Traditional Kung Fu Principles, to take your wellbeing into a path of never-ending upward spiral (cycle of regeneration), all you need is between 10 - 30 minutes a day. This workout program© is designed especially by Shifu Yan Xin using ancient Chinese philosophy of the 5 Elements (Wu Xing, 五行), in particular it's generating interactions between the elements and Traditional Kung Fu Principles (combining foundation training such as stretches, stances to Form/ Tao Lu training, Qi Gong and Meditation). Each element generates the next element in a never-ending generation cycle; Wood feeds fire, fire turns into earth (ashes), earth bares metal (such as gold), and metal can carry water (e.g. via condensation), and water nourishes wood, the cycle then goes on. This is the beginning of the cycle, it represents the spring season where everything is growing and expanding. So in this session we will use kung fu stretches to stretch and expand our body and qi. Note: For this sessions please have a chair close by for the stretch session. It is a sessions focusing on stretches for the body and spine. Fire is the second phrase of the regeneration cycle, it represent the season Summer, it's associated with passion, warmth, intensity and the heart. So this session we will work on speed and explosive power, this is a session infused with dynamic and cardio training. Earth is the third phrase in the regeneration cycle, it is associated with the transition periods between the seasons. It is a very nurturing element, it's about hard work, patience, stability and balance. The focus of the training is on stability and balance, there is a lot of work on stances and legs work, be prepared for some solid training in this session. 4. Metal (金): Strength & Coordination. Metal, in Chinese the word 'Jin' (Gold), is often used to describe the metal element, this is the season of Autumn, where everything comes to fruition. In this session the workout focuses on strengthening and where the movements come to 'fruition' via coordination, with training based on some form / tao lu training. 5. Water (水): Fluidity & Calmness - Qi Gong. The last element is Water, which is associated with the season Winter. Water is about wisdom, it's energy is fluid yet still. In this session, through Qi Gong practice we enable our Qi to flow fluidly in our body taking us to a state of peace and tranquility where we can effectively conserve the energy we have generated through the cycle (so that energy don't dissipate into the space). Storing as much energy we can into the dan tian (the energy centre in our body), then we are ready to go on the next level of cycle generation.